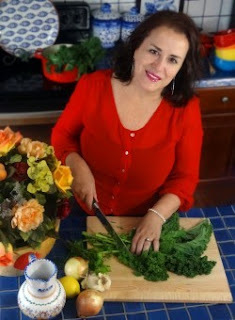 Aloha to our first guest chef on Tasting Hawaii, Chef Maria Dias, Portuguese food blogger, and cookbook author of "Taste Portugal". Chef Dias has a beautiful website/food blog, full of wonderful Portuguese recipes. I invite you to visit and explore her website. I love Portuguese food, rustic, simple, and delicious. There are many Portuguese recipes on Tasting Hawaii because the Portuguese immigrants have added so much to Hawaii's cuisine. Unfortunately, to my knowledge, their are no authentic Portuguese restaurants in Hawaii. That's why it's important for me to try and introduce these recipes to you. Moloka'i is famous for it's sweet bread from Kanemitsu Bakery, an 80 year old bakery in downtown Kaunakakai. The Portuguese introduced sweet bread to Hawaii in the late 19th century when they immigrated here from the Azores to work in the sugarcane fields. Chef Maria Dias has shared her recipe with Tasting Hawaii for this delicious Portuguese sweet bread - Pão Doce. 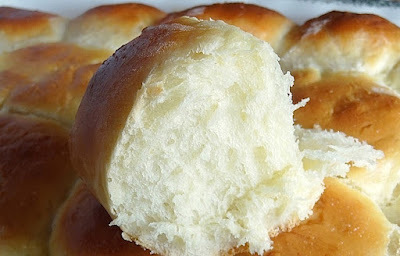 I like to put a big dollop of liliko'i butter on these little rolls. Chef Dias posts a warning on her food blog that you won't stop eating this bread! Enjoy! In Portugal, this light and airy sweet bread is usually made during Christmas and Easter, but is also eaten throughout the year. There are many variations of this bread. 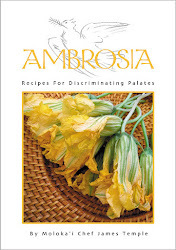 Some recipes call for raisins, lemon zest, rum or whiskey to intensify the flavor. Heat milk, but do not scald. Remove from heat and stir in margarine until melted. Add sugar, salt and mix. Let the milk cool down. Meanwhile Make yeast starter by mixing packages of yeast with 1/4 cup of warm water and 1/4 teaspoon of sugar. Stir yeast until dissolved and let it rest until you see bubbles activating. Beat eggs for a few minutes then add to the milk in a large mixing bowl. Add the yeast to the milk along with the brandy, or lemon zest, and beat for 2 minutes. Begin adding the flour 1 cup at a time until it’s all incorporated. Use your dough hooks or your hands to knead for about 10 minutes. The batter should be very silky and smooth but not sticky. Add more flour if you find the dough sticky. Remove dough from mixer, place on a floured surface and knead for about 5 minutes until it is smooth and soft. Place the dough into a large floured bowl and cover with plastic wrap and a warm towel. Let it rise in a warm place for 2 to 3 hours or until doubled. After the dough has doubled, punch it down and let it rise for 30 minutes longer. Place your dough on a floured surface and form your bread either into a braid, loaf or mini buns. Let the dough rise for another hour. Note: If you want to make 2 smaller loaves, cook them for about 45 minutes. You may find oven temps will vary, adjust accordingly. 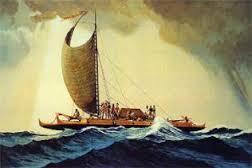 The Polynesians brought many plants with them on their 2400 mile journey across the open ocean. Plants like breadfruit, bamboo, sugarcane, mountain apple, ginger, yam, and of course, taro. They also brought plants that were used as medicine. 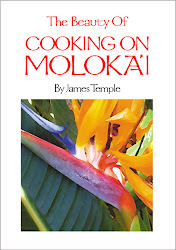 These included kukui, noni, coconut, taro, breadfruit, banana, sugarcane, kava and others. Hawaiians also made medicines from the many native plants and seaweeds abundant in the islands, Māmaki was one of those native plants. Ancient Hawaiian’s used Māmaki for generations to aid in overall health and well-being. The elders passed on this knowledge to their children. Today, the Māmaki plant is still best known for its refreshing, smooth tasting, herbal tea and it’s medicinal uses. This week I noticed a stack of large leaves for sale in the produce department of Friendly Market here on Moloka'i. I asked what they were and was told they were Māmaki leaves and that the Hawaiians make a medicinal tea out of them. The store price was about $3.84 for 10 leaves the size of your hand. The leaves can be used fresh or dried to make a tea that is calming, cleansing, and traditionally used as a tonic or “pick-me-up”. To prepare the tea, pour boiling water over 5 chopped-up leaves and steep for at least 20 minutes, until a rich red color develops. Steeping longer does not make the tea bitter, as it does with caffeinated teas. The fresh leaves can also be cooked and eaten as a green vegetable according to the website marketlessmondays. 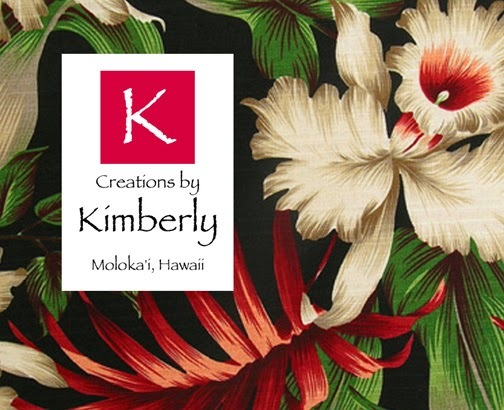 Another source for dried Māmaki tea leaves is a company on Oahu called Māmaki Native Hawaiian Herbal Tea. After investigating more about this plant, I found that a lot has been written about Māmaki and that their are many companies now selling Māmaki tea leaves online, including Amazon.com. The most interesting thing is that Māmaki only grows in Hawaii, and nowhere else on Earth. It seems that Māmaki had evolved on the Hawaiian islands well before the first Polynesians, from the Marguesas Islands, arrived here around 600 or 700 A.D. The exact date will probably never be known because the Native Hawaiians were a people without writing, who preserved their history in chants and legends. So what do we know about Māmaki, or Pipturus albidus. 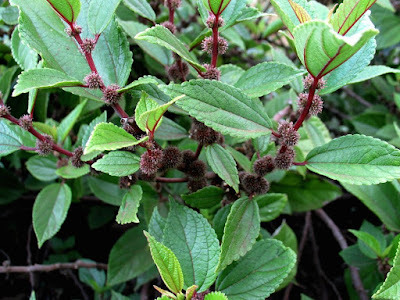 We know that it is a shrub in the nettle family (Urticaceae), and it still grows naturally on the forested slopes of most of the Hawaiian Islands. Apparently, Māmaki is not just another tea, it is a combination of wide ranging antioxidants, such as catechins, Chlorogenic acid, and Rutin, all of which provide remarkable benefits to the mind and body. Māmaki tea helps promote healthy cardiovascular function, counteracts the negative effect of stress, and supports healthy glucose metabolism. However it's important to know that these statements have not been evaluated by the FDA, why... I can't imagine. Click here to read about why the FDA hasn't endorsed similar products. The plant, although in the nettle family, is a needleless nettle plant that grows in moist to wet forests at elevations ranging from almost sea level to 6,000 feet. Its leaves are dark-green on the top and white to gray underneath, often with reddish veins. The texture can vary from papery to leathery. The leaves range in shape from oval to oblong to diamond- or heart-shaped and they have saw toothed edges. 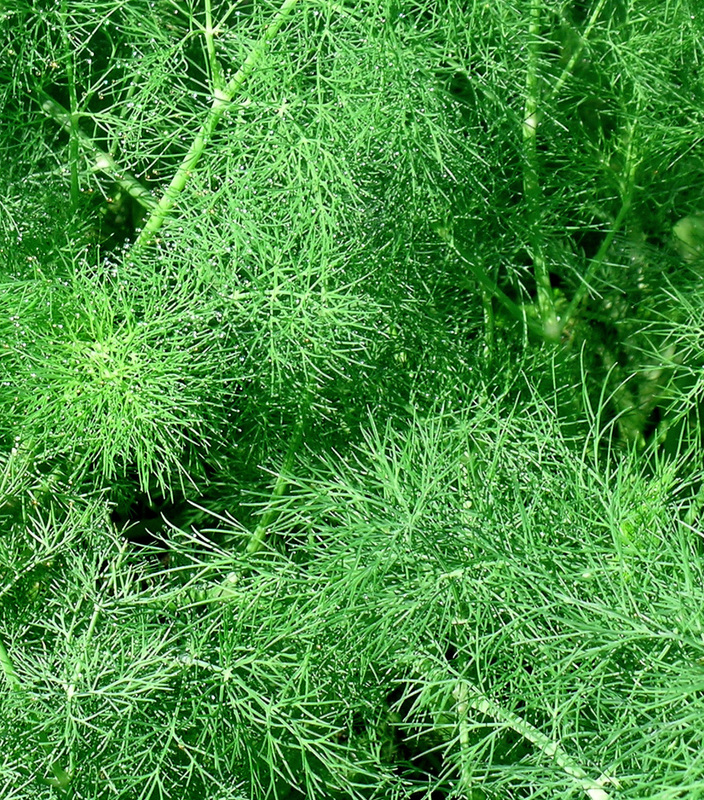 Māmaki is a plant that reaches a height of 6 to 20 feet and can continue to thrive for an upwards of 35 years. Dr. Shintani, of Honolulu, and is mentioned in his book, The Hawaii Diet. Māmaki tea is mildly sweet with a pleasant, earthy taste. However this tea blend of Māmaki, lemongrass, lemon peel, and a few other things, has a beautiful golden brown color and citrus bouquet. 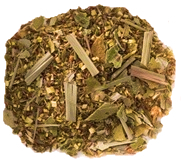 Regular Māmaki tea can be purchased in a number of places online, but this lemon blend can only be purchased from www.teachest.com. Pour hot water over leaves. Steep for 3 minutes, strain and add honey if desired for sweetness. Note: I found this interesting website that talks about making nettle tea, click here if interested. FOOD that can be a religious experience! Good cooking to me is a balance of tastes, textures, and colors that stimulate the eye, the appetite, and the senses, but do not overpower one another. It's important to plan a meal so that the foods served compliment one another. It's sort of like a church choir, a melodious blend of musical notes that lead to a religious experience. I've had many religious experiences with food. So what's your favorite food, ask yourself why, then build on it. I certainly don't consider myself a food expert, however I do like to eat and write about my food experiences. It's important to know what you like and don't like to eat because there are a lot of food choices out there, something for everyone if you have an open mind. For example I'm not fond of food that is so spicy that all you can taste is pain. Korean, Chinese, and other Asian countries fall into that category, as well as Mexican and Caribbean food, with their fiery hot dishes. I like to taste the food I am eating. I don't like food that is overly spiced either. I think Indian food falls into that category. So why do countries add so much heat and spice to their foods? My guess is that originally these countries had very few ways to preserve food, so they covered up the rotten ingredients with hot peppers and bold spices. Eventually they got used to eating hot and spicy food. We all have to eat whether we like it or not, so it makes sense to take advantage of as many foods as you can, and not be afraid to try new things. I hope my mother-in-law reads this because she is not a food person. Here is a simple little recipe that I like to serve with almost any meal. A fried flatbread with the flavor of scallions from Korea. Try it... who knows, you might have a religious experience. Many countries have their own flatbreads, like Naan, Roti, or Chapati from India, Mexican tortillas, or the Navajo Indians flatbread. Some are fried, and some are cooked in the oven. Some have baking powder and some don't. They are all simple, pillowy soft bread, used to soak up all of the sauce left on your plate, or to wrap around some tasty tidbit. 'Pa' is the Korean word for scallion and 'jun' (or jeon) means any food that is coated in a batter and pan-fried. You can use other ingredients to the Pan Jun like garlic, red chili peppers, carrots, zucchini, mushrooms, and kimchi are also popular Korean fillings. This recipe is easy to make, and is always a crowd-pleaser, but it's important to keep them warm in a basket covered with a tea towel until you're ready to serve them. Sometimes I like to use them, instead of tortillas, to make fish tacos... yummy! Mix all ingredients together and let sit for about 10 minutes. Check consistency before cooking – batter should be a little runnier than pancake batter, so that the Pa Jun cooks quickly and evenly. Pour batter into a heated skillet in a thin layer. I use a small 6 inch iron skillet. It's important to quickly spread the batter with the bottom of a spoon or ladle because the batter will set up. Cook for 3-4 minutes until set and golden brown on bottom (see photo). Turn over with the help of a spatula and cook 1-2 minutes more, adding more oil if necessary. Serve whole or cut into wedges. Serve with soy or spicy dipping sauce (recipe below) as a snack, appetizer, or side dish to a Korean or Asian meal. Makes about 9, 6 inch Pa Jun. Note: If you have leftovers, Pa Jun freezes well. Just slip them into a zip-lock freezer bag and freeze for later use. Then simply let them defrost and warm them in a 200˚F oven for about 20 minutes. Naturally you can leave out the onions and use this flatbread recipe as you would a crepe. Top them with a fruit filling. They are very versatile, and they do what you tell them. 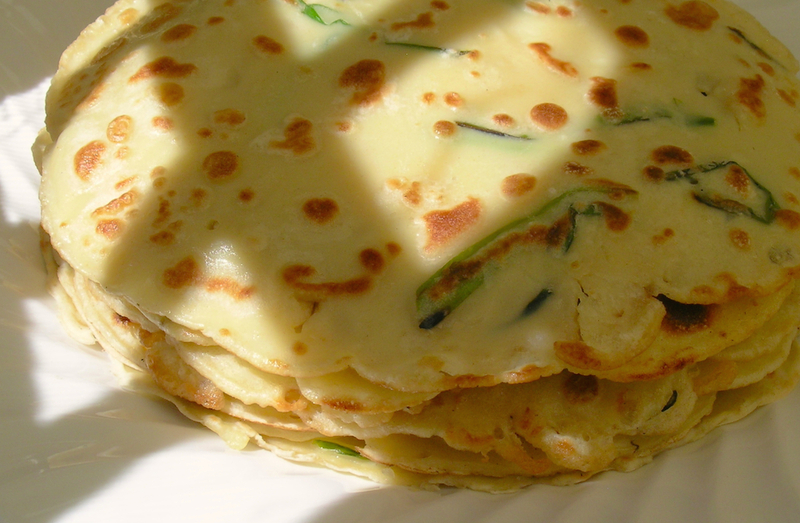 You might be interested in a Chinese version of this recipe using leeks instead of scallions. Click here for that recipe, or visit the "Recipe Index" tab above for other flatbread recipes. The Koreans like to dip their Pa Jun in this spicy dipping sauce. Simply mix everything together and serve as a dipping sauce with scallion flat bread, pot sticker dumplings, or tempura dishes. Makes about 1 cup. For an easy vegan, yeast and gluten-free flatbread recipe, click here. So what is a "classic"? The definition is debated, but a classic usually expresses some artistic quality - an expression of life, truth, and beauty - and has stood the test of time. There are also food classics like Taro, or Poke here in Hawaii. Sometimes you have to go back to the classics to remind yourself just how great they were. One of my favorite food classics is the iceberg wedge salad with blue cheese dressing. It first appeared as a ubiquitous menu entry of the 1950's. Know-one knows where this simple salad originated, and no hotel, chef, or restaurant claims to have invented it, but it is definitely getting popular again. 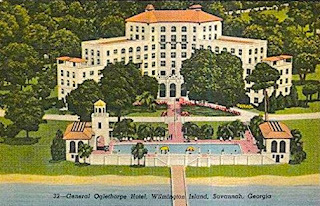 I remember back in 1949 when I was 5 years old, my father owned a hotel 6 miles outside of Savannah, Georgia, on Wilmington Island called the General Oglethorpe Hotel. 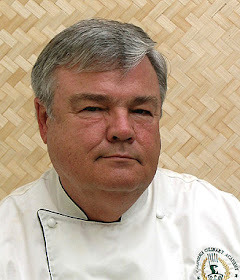 His German chef, Chef Wolfgang Schmidt, would serve iceberg wedge salad with blue cheese dressing in my father's hotel restaurant. At that time this salad was very popular. I loved that salad even then. The hotel has changed hands many times, and was finally converted into condos. I guess all good things have to come to an end, except for my memories of my youth, and what I ate then. So what is a iceberg wedge salad? By wedge I mean a quarter of a head of cold iceberg lettuce sitting on a chilled plate with dollops of thick blue cheese dressing cascading down its sides, and sprinkled with cherry tomatoes. I serve it with a rare steak and crispy French fries, paired with a glass of Cabernet Sauvignon on the side, and finished with a glass of vintage port. Some people are turned off with blue cheese because of the blue-green mold in it. Most blue cheese today is either injected with the mold or the mold is mixed right in with the curds. Blue cheese is attributed to a shepherd who was storing cheese in caves in southern France. Legend has it that there was bread left at the entrance of the cave and it molded. As the mold on the bread continued to grow, a breeze carried the spores into the cave infecting the cheese being stored. The birth of the blue cheese is a very natural story as the mold in combination with oxygen and exposure to the cheese does impact the look and taste. I like the taste of blue mold, many think it's piquant and makes the cheese “spicy” tasting. My experience is the overall taste of a blue cheese is a combination of maturation (age of the cheese) and the mold used. The flavors of blue cheese vary widely in strength and saltiness. I have found that with blue cheese, you get what you pay for. 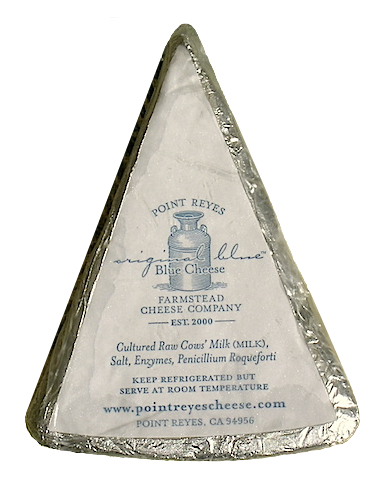 My favorite is Point Reyes Original Blue made by Point Reyes Farmstead Cheese Company. This cheese company is located north of San Francisco, way out in the country near the small community of Point Reyes. I used to love driving out there to the Creamery to purchase their award winning cheese products, but their "Original Blue" is my favorite. Point Reyes Original Blue is made into 6 pound wheels. The cheese is rindless, white in color, with dark blue-green veins throughout with rich, deep flavor. The mold penicillium roqueforti (the same one from Roquefort cheese) is used to create the viens. The cheese is semi-soft, with a creamy texture. Fortunately for the "foodies" living on Moloka'i, you can buy it at Moloka'i Wines & Spirits, in small 6 ounce wedges. The classic way to serve this wonderful dressing is over a quarter wedge of cold iceberg lettuce. Some people like to sprinkle pieces of crispy bacon on top, but I prefer to keep it simple by putting only slices of cherry tomatoes on top. It can also be served as a dip with buffalo wings, sauce for steaks or hamburgers, with crudités (raw vegetables), or over grilled vegetables. If you are going to do the dip thing, try it with a tray of freshly cut broccoli, cauliflower, and red bell pepper from Kumu Farms here on Moloka'i. I hope you try my blue cheese salad dressing recipe, I think you will like this NEW CLASSIC recipe! aboard the Excel, a San Diego luxury long-range sportfishing boat. Photo courtesy of Excel Sportfishing. 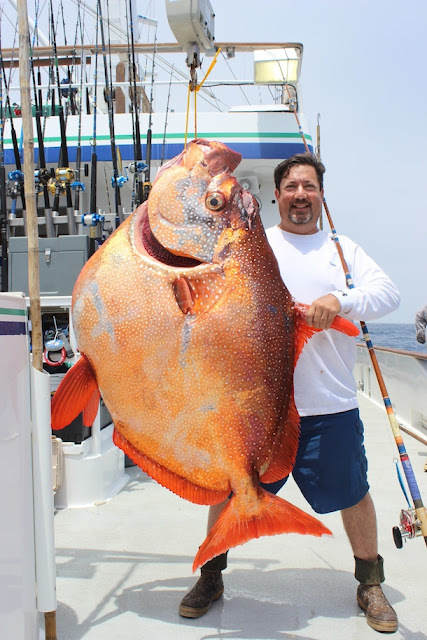 It's one of the most colorful of the commercial fish species available in Hawaii. Its body is flat looking at it from the front, but from the side it is round like a red moon. It's a combination of silvery-grey with shades of red dotted with white spots. It's fins are crimson, and it's large eyes are encircled with gold. All of the opah landed in Hawaii are caught by longlining in deep water. They are not found in schools, and thus are not caught in great numbers. The best part of opah is that it is delicious! It is very popular here in Hawaii, especially in restaurants. 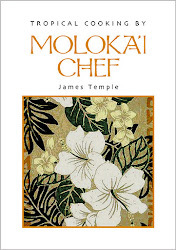 It has a firm texture, rich flavor, and fortunately for Moloka'i residents, it is occasionally available at Friendly Market. If it is not available at your grocery store, you can order it online from the Honolulu Fish Company. If you ever get the opportunity to fillet an opah, you will find that an average of 35% of an opal's weight is consumable, with the remaining 65% being bone and thick skin. Its flesh has different colors from pink to orange to dark red, but when cooked it all turns white. Opah can be eaten raw as sashimi, broiled, baked, sautéed, steamed, or smoked. This recipe always turns out great with a lot of Hawaii's fish, including opah. If you can't find opah, try this recipe with Pacific salmon, uhu (Hawaiian parrotfish), onaga (Hawaiian long tail red snapper), mahi-mahi, ehu (Hawaiian short tail red snapper), or A'u (Pacific blue marlin). They are all a little different in flavor and texture, but you won't be disappointed with any of these fish. Preheat broiler for 7 to 10 minutes, and put the rack at the level closest to heat source (about 4 inches from the heat). Rub fillets generously on both sides with Tamari or soy sauce. Put on small foil lined baking sheet, and sprinkle with the onion, dill, lemon juice and pepper. Dot with small bits of cold butter. Broil about 5 to 8 minutes, without turning, until flesh flakes easily with a fork and has an even whiteness. Do not over cook. Serve with lemon wedges. Serve with Jasmine Rice Scented with Lemongrass, and Baby Bok Choy with Oyster Sauce. 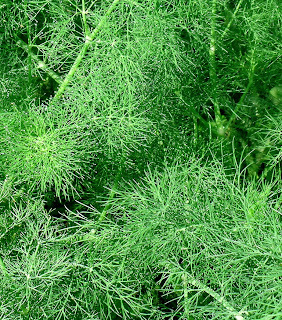 Garnish with fresh dill and serve immediately. Makes 2 servings. Note: Always preheat the broiler for 7 to 10 minutes prior to adding the fish. A general rule of thumb for broiling times is as follows, allow 5 minutes for each 1/2-inch of fish thickness. When broiling whole fish, be sure the total weight doesn't exceed 2 pounds. If broiling skin-on fillets, slash the skin a few times to prevent shrinkage and broil skin side up. This is another simple, Caribbean inspired, recipe for opah, with a zesty tomato sauce. Heat oil in a medium nonstick skillet over medium-high heat. Add onion and cook, stirring often, until lightly browned, 2 to 4 minutes. Add wine and garlic and simmer for 30 seconds. Stir in tomatoes, olives, oregano and orange zest. Season with 1/8 teaspoon salt and 1/8 teaspoon pepper. Season fish with the remaining 1/8 teaspoon each salt and pepper. Arrange the fish in a single layer in a pie pan or baking dish. Spoon the tomato mixture over the fish. Bake, uncovered, until the fish is just cooked through, 10 to 20 minutes. Divide the fish into 2 portions and serve with sauce and yellow rice (Pea Pulao), or Quinoa Hawaiian. Makes 2 servings.